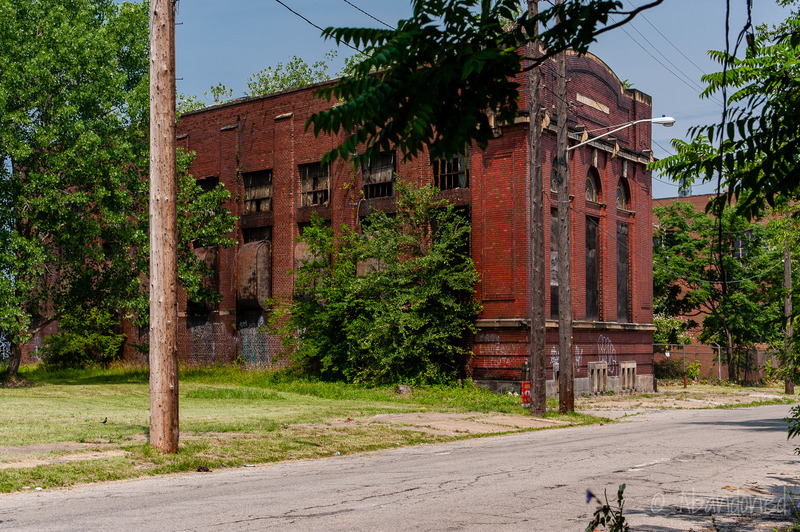 The Cedar Avenue Substation for the Cleveland Railway Company was constructed in 1917 in Cleveland, Ohio. 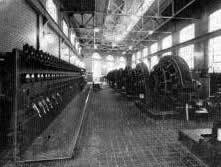 It was the first automatic substation for the company in the city, located across the street from the Cedar Avenue power plant, which was then at the time the largest non-condensing direct-current plant in the United States. 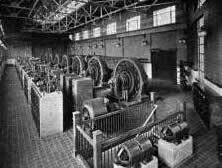 The new Cedar Avenue Substation featured eight rotaries, each 1,500 KW in capacity with 60 cycle 514 RPM Westinghouse machines. 2 With the installation, the railway company boasted 20 rotaries of 1,500 KW capacity each and two with 1,000 KW capacity, with controlling apparatus sourced from General Electric. The transformers were air-cooled Westinghouse 550 KW ampere units installed without shells. The company opted to use smaller capacity rotaries instead of four 3,000 KW units due to redundancy. The exterior was finished with press brick adorned with cut stone trim in the front, with side walls built of shale brick laid in cement mortar. 2 The interior was finished with tiles. 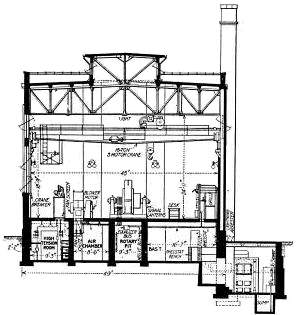 From “Designing and Operating the Substation for Maximum Efficiency.” Electric Railway Journal 51.15 (Apr. 13, 1918): 700. Rear of alternating-current section of main control board. From “Designing and Operating the Substation for Maximum Efficiency.” Electric Railway Journal 51.15 (Apr. 13, 1918): 701. Rear of direct-current section of main control board. From “Designing and Operating the Substation for Maximum Efficiency.” Electric Railway Journal 51.15 (Apr. 13, 1918): 701. Busbar and disconnect switch compartments with lamp indicators. From “Designing and Operating the Substation for Maximum Efficiency.” Electric Railway Journal 51.15 (Apr. 13, 1918): 701. Alternating-current ends of the rotary converters and rows of control apparatus. From “Designing and Operating the Substation for Maximum Efficiency.” Electric Railway Journal 51.15 (Apr. 13, 1918): 702. Mounting of feeder cables in substation basement and subway. From “Designing and Operating the Substation for Maximum Efficiency.” Electric Railway Journal 51.15 (Apr. 13, 1918): 703. Direct-current ends of rotary converters and the front of a main control switchboard. From “Designing and Operating the Substation for Maximum Efficiency.” Electric Railway Journal 51.15 (Apr. 13, 1918): 703. “Special switchboards, at right an ammeter board for use in measuring distance tables. 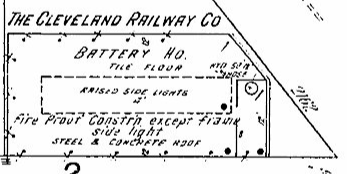 At left a house-service board.” From “Designing and Operating the Substation for Maximum Efficiency.” Electric Railway Journal 51.15 (Apr. 13, 1918): 704. From “Designing and Operating the Substation for Maximum Efficiency.” Electric Railway Journal 51.15 (Apr. 13, 1918): 701. Cross-section. From “Designing and Operating the Substation for Maximum Efficiency.” Electric Railway Journal 51.15 (Apr. 13, 1918): 702. 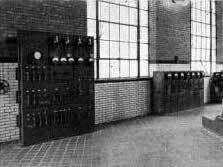 “The Cleveland Railway Commissions Its First Automatic Substation.” Electric Railway Journal 56.12 (Sept. 18, 1920): 533-536. Print. “Designing and Operating the Substation for Maximum Efficiency.” Electric Railway Journal 51.15 (Apr. 13, 1918): 700-704. Print. Toman, Jim, and Blaine S. Hays. 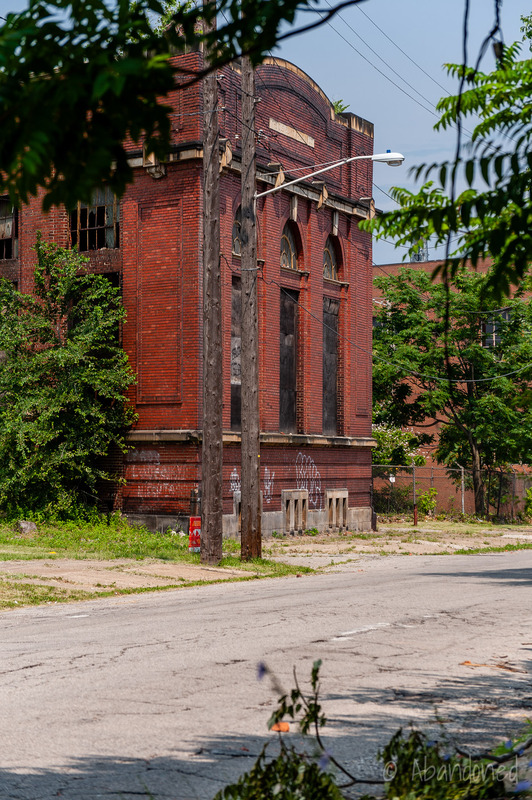 “The Cleveland Transit System Years.” Horse Trails to Regional Rails: The Story of Public Transit in Greater Cleveland. Kent: Kent State University Press, 1996. 275. Print.